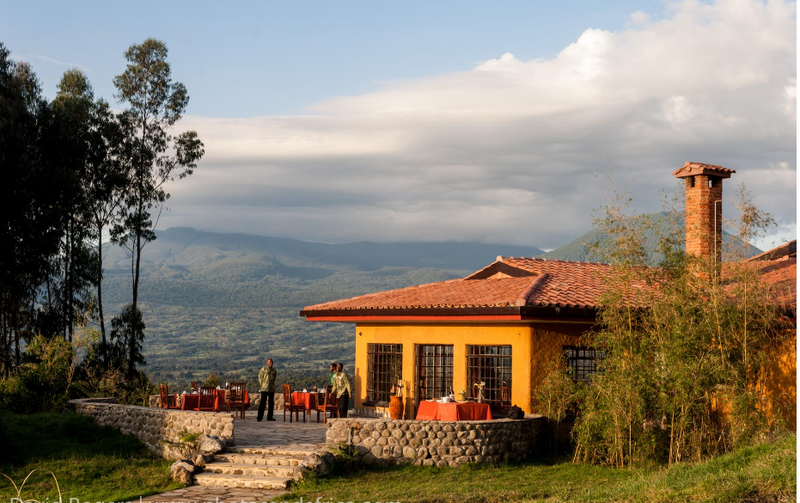 When KT Press received an invitation from Sabyinyo Silverback Lodge – a Community-owned lodge in Musanze District, Northern Province to cover celebration of its 10th anniversary, the impression was all about revenues the luxurious hotel made for this period. The world-class lodge was conceived and is operated by the Governors’ Camp Collection, a collection of 7 luxury safari camps and lodges located in Kenya and Rwanda. However, the luxury hotel’s corporate social responsibility model attracts everyone’s attention. In that contest, the surrounding communities formed SACOLA or ‘Sabyinyo Community Livelihood Association as part of a conservation drive to save mountain gorillas and other animals from encroachment. Under Sacola, part of the revenue generated by Sabyinyo siverback lodge has been deployed to different community activities across the district. According to hotel managers, revenue streams totaling $3.3 million (Rwf2.9 billion) from the lodge have been deployed to self-managed socio-economic development projects undertaken by SACOLA. The projects, according to Pierre Celestin Nsengiyumva – SACOLA President, have directly benefited over 6,000 households in the sectors of Kinigi and Mayange, which surround the volcano national park. According to Nsengiyumva, the projects include; construction of 52 classrooms of primary schools in Kinigi and Mayange. 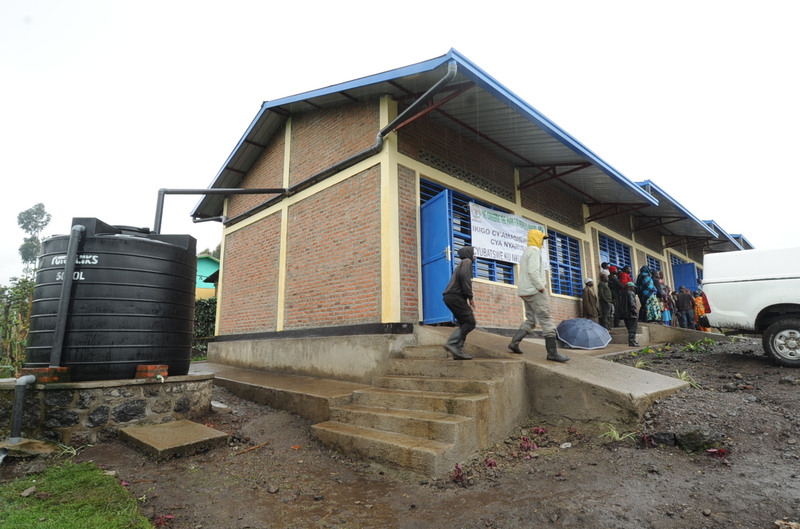 They also equipped technical schools in the area with computers worth Rwf1.5 billion to mention but a few. Two local credit and saving cooperatives have also been established to benefit the neighboring communities, Nsengiyumva said. Speaking at SACOLA’s 10th anniversary on Sunday, November 4, Mark Nkurunziza – Chief Financial Officer Rwanda Development Board said that community-owned Sabyinyo Silverback Lodge is a clear testament of what can be achieved when the private sector and local communities work hand in hand towards a common goal. “RDB and its partners in conservation recognize the local community as a key stakeholder in ensuring the protection of wildlife and conserving the wildlife found both inside and outside the Volcanoes National Park,” he said. According to a 2016 census, gorillas increased by 26% since 2010, with about 50.4% of the total Gorilla population in the Virunga Massif found in the Volcanoes National Park. According to RDB, Rwanda registered 94,000 visits to national parks last year – generating $18.7 million in revenue – with Volcanoes National Park taking the Lion’s share of 90%. 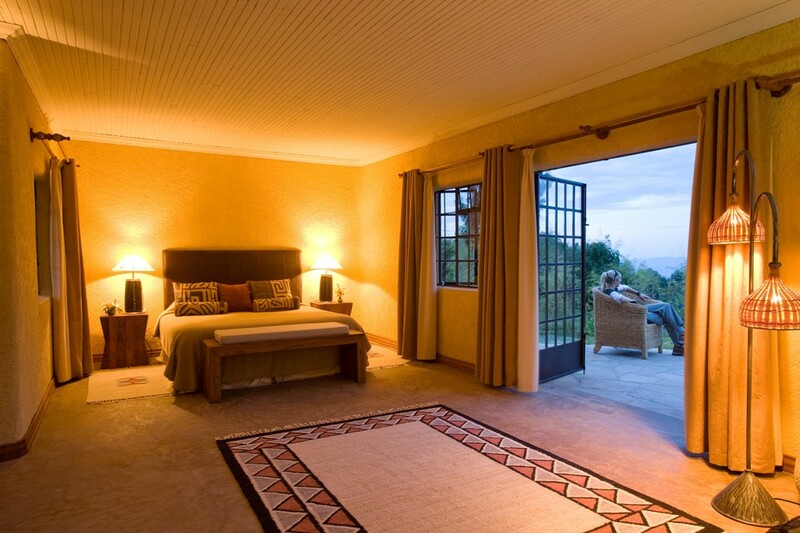 Meanwhile Sabyinyo Silverback Lodge comprises six cottages, two suites, one family cottage. All are stone buildings with Rwandese terracotta tile roofs, and feature large sitting areas, fireplaces, stylish en-suite bathrooms finished with Venetian plaster, a dressing room and a sheltered veranda. Heat exchangers in the fireplaces provide a plentiful supply of hot water. The family cottage comprises of two independent ensuite rooms connected by a shared verandah. The main lodge building comprises reception, sitting room with snug area, dining room, library/games room, a responsible tourism/community awareness room, shop and bathrooms. Three large fireplaces provide warmth and all rooms are finished with a polished wooden floor. 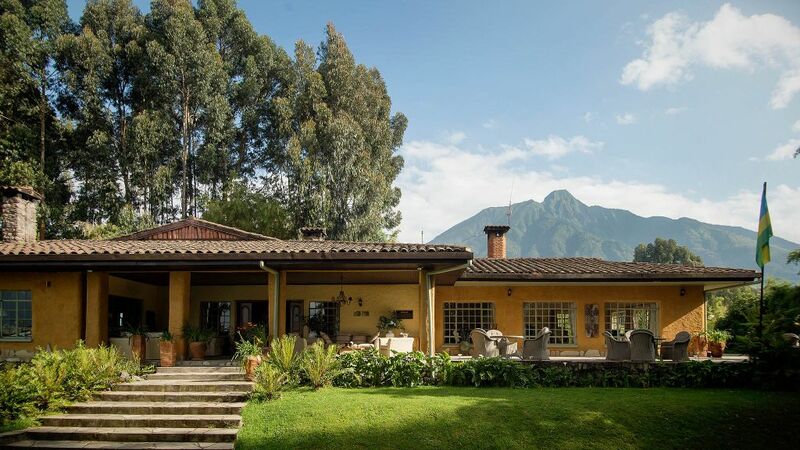 Two patio areas afford wonderful and dramatic views to the Virunga Volcanoes and the surrounding lowland farmland. If you want to enjoy a quiet place and relax from the stress of the city, then Sabyinyo Silverback is the right place.